There is tasting note or review on this 5.150 Cuvee by Camus. 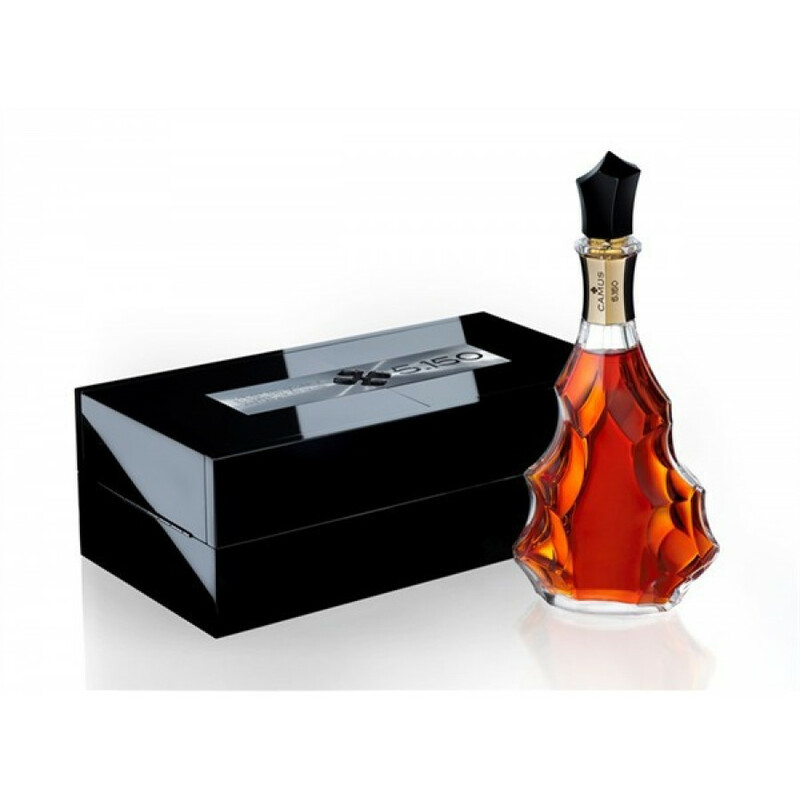 The Camus Cuvee 5.150 Anniversary Cognac is a limited edition of 1,492 decanters, each individually numbered and being sold at a price of $13,500 US. The first 150 will also include a 100ml numbered sample. This miniature is a rare opportunity to own the very last sample taken by the cellar master just before the decanters were filled. 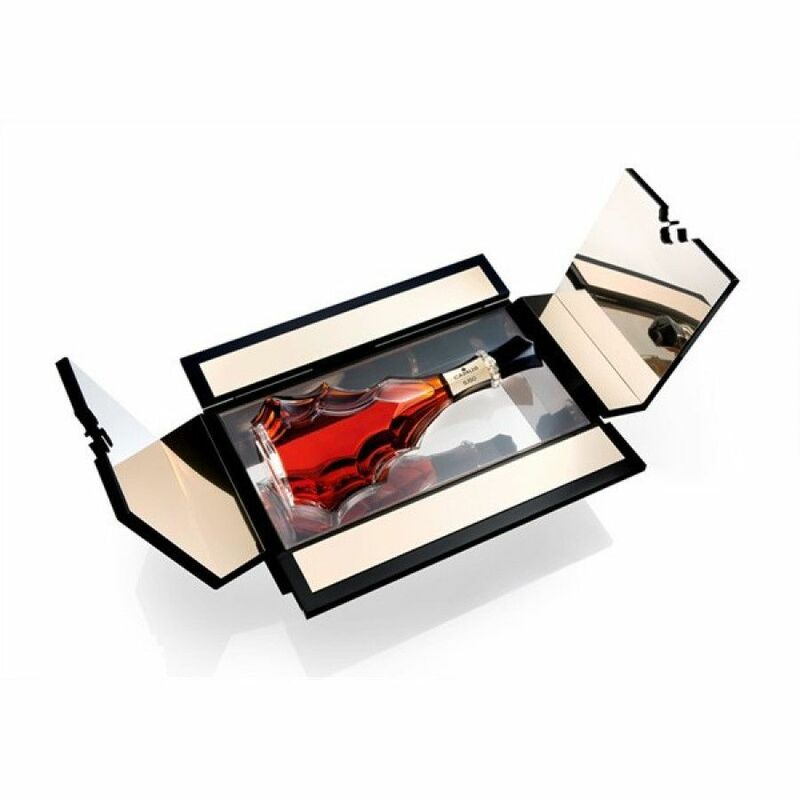 Five rare eaux-de-vie from five different Cognac growing regions have been blended to produce this spicy, fragrant mix: Grande Champagne, Petite Champagne, Fin Bois, Bon Bois and Borderies Cognacs, presented in a delightfully irregular Baccarat Crystal decanter. What aromas do you get when you sniff the Cognac? Do you get hints of fruits or flowers - perhaps it's sweet? Is it intense or rather flat - and most importantly, is the nose coherent to taste and finish? The nose is the most important part when tasting Cognac. A small sip: Allow your taste buds in the various areas of your mouth to distinguish the different flavours. This part of cognac tasting is described as ‘the palate’. Don’t just swallow it down; allow the liquid to touch all the regions of the mouth. Doing this is necessary as the taste buds pick up contrasting flavours in the different areas of the mouth; on the tip of your tongue to the sides, for example. The ‘finish’ is the experience you get after you’ve swallowed the cognac. What flavours can you detect? Is it a flat or rough finish and rather sharp, or is it a slight "punch" you like? How long does the finish last? Also think about overall balance: How does the finish compare to nose and taste? Do you like this Cognac in terms of taste but also presentation? What about the story and identity of this Cognac? Does all this translate to the price or do you think it's a bit overpriced? If you think this totally justifies the price, make it 5 stars! Since 1863, five generations of the CAMUS family have cultivated a single-minded passion for crafting great Cognac with their own style. With 180 hectares in the smallest and rarest AOC cru - Borderies - renowned for producing eaux-de-vie with an intense floral bouquet and excellent ageing qualities - the Camus family has always been deeply involved in winemaking and distilling. It is this unbreakable bond between the land, the traditions and the men who live on it, that helps craft superb Cognacs. In 2000, the House premiered with the first ever 100% Borderies XO Cognac. A solid success, it was to become the Camus signature Cognac, offering an outstanding combination of violet and vanilla spice aromas of intense velvety smoothness. Camus Elegance range is a bold illustration of CAMUS’ Living Tradition with Cognacs that truly respect the original character of the eaux-de-vie and are remarkable for the finesse of their blends. In its ongoing search to explore the diverse regions of the Cognac appellation, CAMUS became the first Cognac House to capture the unique marine notes of the Ile de Ré vineyards. Raised and aged on the island, Camus Ile de Ré Cognacs typically offer fresh iodine notes with hints of dried fruit with archetypal mellow softness. Produced in limited quantities, they offer a rich and unique taste experience. Camus also proposes a Masterpiece collection of rare, limited cuvées, each consisting of a unique, exceptional blend presented in spectacular cases as well as Rarissimes vintages of most extraordinary Cognacs - certified under bailiff’s supervision and bottled without reduction, allowing them to express the full strength of their aroma and character. Eye: A bright liquid, with amber/topaz and mahogany tints. Nose: A strong, robust opening with notes of gingerbread, macadamia nuts and gingerbread. Palate: Intense notes with a buttery, creamy taste. It is sturdy and lingers for a long time, with a spicy cacao overtone. The color of this cognac is golden, on the nose full, with hazlenut notes. In the mouth the Extra Elegance shows its balance of spices, rancio and smoothness, the aftertaste is long. Tasting notes: Neat, you will discover the toasted and subtle spicy notes, with as little barrel oak as possible, and a subtle and smooth balance between smoky hints and rich, crystallised fruit flavours. Tasting review by Camus: "With its elegant, floral and mineral style, it is easy to identify the aromatic notes of Camus VSOP Borderies: creamy milk chocolate, orange zest and a touch of spice." There are no tasting notes of Sylvelune Cuvée Ebene Collection N°1 yet, but the makers describe it as this: "A cognac of extraordinary complexity, to be explored in the harmony of its aromas, its powerful body and its remarkable length." Cognac: An Alternative Investment Opportunity? We use Mailchimp as our marketing platform. By subscribing, you acknowledge that you will receive emails about Cognac and that your information will be transferred to Mailchimp for processing. Learn more about Mailchimp’s privacy practices here. You may withdraw this consent at any time. More information can be found in our privacy. Awarded “International Cognac writer of the Year” in 2013, Cognac Expert is an independent, family-run website based in France, reporting on all things Cognac and shipping exclusively from the Cognac region. This website is related to the promotion of alcohol, and should not be viewed by anyone below the legal age of alcohol purchase in the country of viewing. When ordering, you are required to confirm, by accepting the Terms of Sale, that you are over eighteen years of age. Alcohol abuse can lead to addiction and health hazards. Drink Responsibly.